Baking experts… creating masterpiece breads, pastries and pressed wraps. Take home a few loaves for your loves. Kneadlessly simple. Celebrating 26 Years of Baking Excellence. 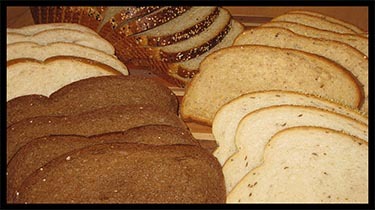 Picasso’s Chef select breads have been enjoyed by individuals daily in our bread bakery since 1989. Today, our breads are still served up in the tradition of old world bakers, and each loaf is made from scratch using only the FRESHEST ingredients. With 26 years of baking experience, we’ve made it kneadlessly easy for your family to enjoy fresh artisan breads daily. A wide array of textures and tastes are available, along with blends of fruit, grains, and spices or herbs to ensure there is something for everyone to enjoy. 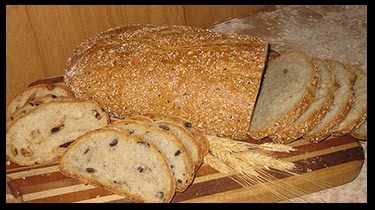 Visit Picasso’s bread bakery for pre-orders & selection availability. You can contact us here for custom orders. Fresh hot bread is available daily in the cafe for pickup or to-go. 6 for $6.95 and get 1 free! 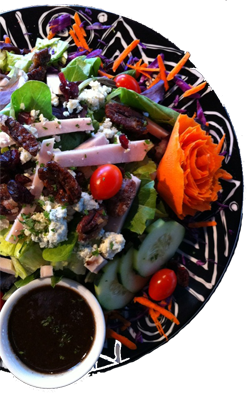 Picasso’s Bakery is an exceptional, full-service, on-site bakery offering the freshest, most scrumptious European and Californian desserts, hand-made pastries, cakes, cheesecakes, tiramisu, brownies, cookies, bars, tarts, croissants, and breads available. Try a custom Picasso pastry chef design or recipe available to please even the most discriminating palette. Low fat, sugar free, fat free and healthy dessert options are also available for your enjoyment- each a work of art! Picasso’s Signature Desserts are available in store daily. Please call ahead about your specific requests. We also are a custom bakery item provider. If you don’t see something you’re looking for, please ask! We CAN create it for you! Freshly Baked Crown Muffins, Coconut Macaroons, Fruit Tarts, Cakes, Seasonal Desserts, Freshly Baked Bagels, Warm Croissants, Sticky Buns, Scones, and Tea Cakes. Click the button below to view more of our pastry tray and Starbucks Coffee catering options. Perfect for groups and quick meetings.